The man’s motorbike collided with a car between Delvin and Clonmellon. 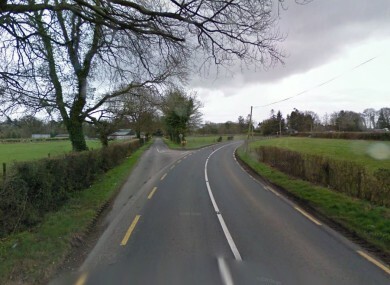 GARDAÍ IN WESTMEATH are investigating a fatal road accident that left a motorcyclist dead. The accident occurred on the N52 at the junction with Ballinlough Castle between Delvin and Clonmellon at around 5.30pm, when a car collided with a motorcycle. The motorcyclist was taken to Mullingar General Hospital where he was pronounced dead. A post mortem is to be arranged. The male driver of the car, the sole occupant, was uninjured. The N52 is closed at the scene to facilitate Garda Forensic Collision Investigators and diversions are in place. Investigating gardaí are appealing for witnesses to contact Mullingar Garda Station on 044 9384000, the Garda Confidential Line 1800 666111 or any Garda Station. Email “29-year-old motorcyclist killed in crash”. Feedback on “29-year-old motorcyclist killed in crash”.